"You need to write a blog," Steven said to me. "I'm not sure I know what a blog is," I replied to Steven, my friend's son-in-law whose wife, Catherine, had asked me for practical advice in her role as a young Christian wife and mother. "It's like an online journal." "But who would read it?" "You just write it. You need to write about the stuff you help Catherine with. People will read it." "But how will people know I've even written anything?" "But wait ... who are 'they'?" Boy, did I have a lot to learn! That conversation with Steven was about 6 years ago. Five years ago, I started writing a blog. I only followed one blog, and it wasn't even a woman's! It was Joshua Harris' blog. Here it is. I used it as my template to get started (I still follow Joshua!). My youngest daughter was born blind, and many family and friends like keeping up with her. I began the blog writing about her. Then I had a little itty-bitty problem. I didn't get another entry written until the following year! I had one entry for the entire year of 2008. We had just stopped homeschooling after 13 years, and my husband really wanted me to take time out to do nothing for a few months (by nothing, he wanted me to take time for myself to relax, drink at those fun coffee places, exercise and maybe take up tennis). So did I do all those things? I can't really remember doing the coffee thing but once (my hubby was thrilled when I called him as I was drinking my first Starbucks delight). All I could think about was writing. 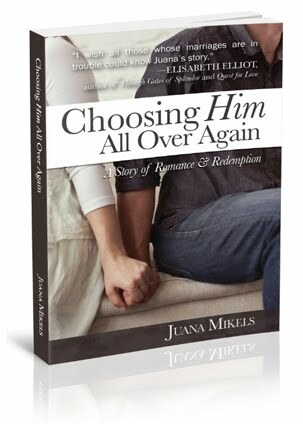 I was filled with a desire to write out our story of how I left my husband before children, how I became a Christian, and how God saved our marriage. Even as I began, I still wasn't quite sure what a blog was! I since have found out that blogs have been around for about 15 years. The word, "blog" came from web-log or blog for short. It can just be a log of your thoughts. and you can learn from each other. Fortunately for me, Steven also knew a lot about computers. It was then that I had the 2nd biggest conversion of my life! I switched to Apple! "Mrs. Juana, (that's what Steven calls me!) you just gotta get a Mac. You're gonna love it. I'll help you set it up." So four years ago, I got a Macbook. I loved having Steven help me, but he's busy trying to establish his career and provide for his family. I live close to an Apple store, so for $99, I signed up to take a one hour per week class at the Apple store for one whole year. It was one-on-one with an instructor! Now that's a deal! I was thrilled! Now, I didn't even have to depend entirely upon my kids with questions like, "What's iTunes again?" My Macbook laptop computer This was about $1200. Steven recommended I buy the refurbished model from Apple because I could save about $200, and it came with the same 3 year warranty, which I bought for an additional couple hundred dollars (I justified it with the savings from the refurbished prices!). When it arrives in the snappy white Apple box, you cannot tell an iota that it may contain refurbished parts. It looks brand spanking new. If I knew what I knew now, I would have filmed opening the box, but back then I didn't have an iPhone! Here's the refurbished site for laptops, desktops, and iPads. iWeb Blogging Software from Apple This was $100, but they no longer support it. Now I use Blogger, and it's FREE. I didn't know about it back then. The most popular free blogging software is WordPress. When I got Blogger, I didn't know that either. I would have gone straight to WordPress if I had of known that, but Blogger has worked just fine for me (By the way, I understand that once you get the free WordPress, you have a lot of options available depending how much more you want to do that cost more if you want them (that can add up). Wanted to mention that. Mobile Me Web Hosting Service This was $99 per year, but they discontinued this service in June, 2012, so I switched at that time to Go Daddy. Michael Hyatt, an internationally known social media expert, recommends Bluehost. I may eventually switch to that to host my blog. One-on-One Apple Training This was $99 per year, to learn to use features, work on a project, & troubleshoot problems. Canon Sure-Shot Camera I had to take the card in and out to download pics, now I use my iPhone 4S and email the pictures to myself. The camera feature on the 4S and higher models is excellent. I also use a Nikon D40 camera too, when I have more time to get a good picture. I have found the iPhone to be more than adequate to get started. Everything was humming along, and I was blogging fairly regularly. Then Apple announced that it was eliminating Mobile Me on June 1, 2012, and soon after would be iWeb. It was at that time I switched to Blogger software, and launched it on Go Daddy. But I had a problem, I had no idea how to use or set up Blogger, and since it's not an Apple product, they couldn't help me in my Apple classes with Blogger. About this time, a really neat thing happened. I "stumbled" onto the blog of a young mother in California (I don't believe in coincidences, I believe for the Christian seeking God's will, all is ordained from God!). Her name was Kassie Garlock. For twenty-five dollars, she could set up my site on Blogger (she only does Blogger). Now that was in my price range! Since I had been blogging by this point for 3 years, I knew what I wanted and what I wanted to eliminate. I had tons of pictures, and some videos. I gave her direction, and she did it. If I needed a change, it was $5 more. I'd say over the last year and a half since I've used Kassie, I've spent about $100 - 125 with her. She was quick, easy, dependable, and has always tried to do what I wanted even if she had never done it before! (I had a habit of asking her for something she had never attempted). I paid her a couple times for little changes even when she didn't ask for it, because I trusted her and she was working to please me—at such a reasonable cost. I continue to refine my blog. Recently I opened an account with Shutterstock for photos. It's pricey, but worth it. I don't do their most economical plan, because I would have to download 25 pictures a day and stockpile them. That doesn't work for me. I need the plan that says I can take as long as I want before I need a picture. The plan I'm on gives me one year, and it's $229 per year. Definitely more expensive per photo, but it's the way I have to do it. I don't know I want a photo of a "child eating ice cream" until I've written my post and that's the exact photo I want. Last week I hired graphic artist Matt Clark from Tweetpages. He came highly endorsed because I'm taking all my social media accounts to one look. I'll be spending over $400 this time, but I know it will be worth it with my first book being released soon! Oh, did I tell you? I finally completed that manuscript, and my book, Don't Dump Him, is coming out in January 2015! There is so much more I could say, but I do want to mention two people. The first one is Courtney Joseph. I attended the She Speaks Conference by Proverbs 31 Ministries in the summer of 2012, and I got a chance to meet Courtney. I attended her workshop on blogging. I met someone who could talk faster than me! I was writing as fast as I could and barely had time to look up! Afterward, I met Courtney in the hall. I peppered her with questions. She graciously answered each one, and encouraged me immensely. I remember telling her that when I first started blogging, people regularly left comments, but I suspended blogging for a few months when I was writing my manuscript and lost momentum. When I returned, no one would ever leave a comment! I didn't like it when people didn't leave comments, it made me feel really bad (but I didn't stop writing for a minute). She told me she went 2 years without a comment. She encouraged me to leave comments on and that eventually people would comment (you can turn that feature off or on). She was right! She also encouraged me to keep posting really short YouTube videos like this one, and I even learned to do more "produced" ones in my Apple class like this one. Courtney recommended I start a blog hop (I didn't even know what one was, and now I have one every Wednesday on my blog!). It was scary for me to start it, because what if no one came to the party? Who likes to set themself up for rejection? Well, I began it in spite of my fear, and have been blessed! 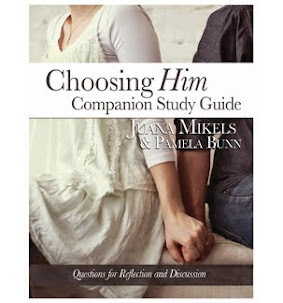 I've met some fantastic Christian bloggers through my blog "linkup party" which is every Wednesday. I just love Courtney. I don't have room in this blog to tell you all I've learned from her. I'll do that in another post. If you don't have time to read us both, just read Courtney at Women Living Well! Remember I mentioned Michael Hyatt? He is someone else I'm learning from on a weekly basis. I'm about to finish his book Platform. I'll write another post on all I'm learning from him, and the changes I made because of him. I'm really grateful for the "God-coincidence" of finding out about him. It was my publisher, Tim Lowry at Ambassador International, who suggested that I read Platform. So glad he did. 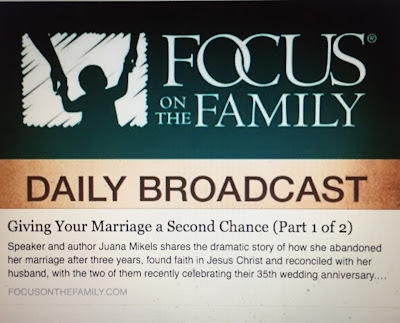 I couldn't do any of this if it were not for God's grace in giving me my husband (the one I wanted to dump when I was 25!). But you'll have to read the book. I'll be giving away exerpts and a free chapter, too, in 2014 until it's ready hot off the press in January 2015, but you'll be able to order it last quarter 2014.☺ He earns a living and paid for all this, and I get to be a stay-at-home-wife and mother. Thank you, Honey! Next time, what I can't do because I blog. Did someone encourage you to blog? Have you ever thought of starting a blog? Thanks for your honest advice! I was convinced a great blogger HAD to be on WordPress! Lol! You prove otherwise! Thanks!! Oh, My Vickie!!! What a compliment! My goodness, thank you! I have been pleased with Blogger. I have a job interview with a girl who got her start blogging next week! Woohoo Blair!!!! I can't wait to hear more about it!! I LOVE YOU!!! Hi Juana, it's good to see right from the start you've followed your exact blogging object. Your blogging story is kinda inspiring. I'm very new blogger and just developing my free blogger these days. Hopefully soon I'll complete my blog. Thanks. Oh, good for you Rebekah! To blog consistently is a big commitment and the biggest cost is your time. I might go back to this post and add 2 Samuel 24:24 which encourages me: "for I will not offer burnt offerings to the Lord my God which cost me nothing." 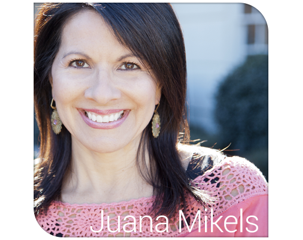 Juana, I so appreciate your post! I am fairly new to you but so connect with your heart and authentic sharing! It is funny that you shared about this...I actually put a post on my Facebook page today about trading services for blog makeover! Thanks for the smiles. I started blogging in 2011 after an injury and a big NUDGE from God. But that's another story. Thanks again! I love God's timing, don't you Dawn? Your comment has made my day!!! Thank you SO much for taking time to tell me!!! Praying for you today, Sister!